Updated 23rd December 2015: Moto X 4th Gen might include a heat pipe to overcome the heating issues with Qualcomm Snapdragon 820. 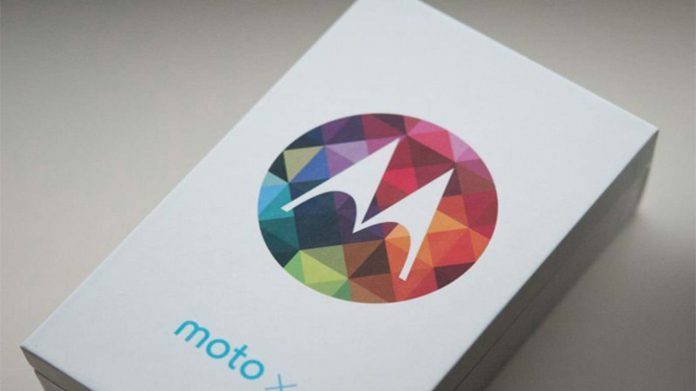 Moto X is the flagship device of Motorola and Moto X 2016 will be the next high-end device from Motorola for the year 2016, though there may be possibilities that they may call it with some other name, like they did this year. The upcoming Moto X is a highly redesigned device with a complete metal body. No wonder that Motorola wants to be in pace with other mobile manufacturers in terms of premium build. The leaked image of Moto X 2016 depicts that it has a completely redesigned back with a new and bigger space for camera along with speakers at the bottom. This time there will be no front facing speakers, might be a thumb down for many Moto users. The major change in Moto X 2016 is its design and metal body. If this is the case then the upcoming Moto flagship device will certainly lose its customizing feature (Moto Maker). There has been no change in the Moto ‘M’ dimple at the back and it will still appear at the back, though this time it may have some functionality, most probably a fingerprint scanner. The primary camera is completely redesigned and the dual LED flash will now be placed at the bottom of the camera. Another change that looks obvious from the leaked image is the placement of speakers. The upcoming Moto X will have the stereo speakers at the back rather than having them in front. The button placements will be similar to current Moto devices. The power button and the volume rocker buttons will be placed on the right side of the phone. 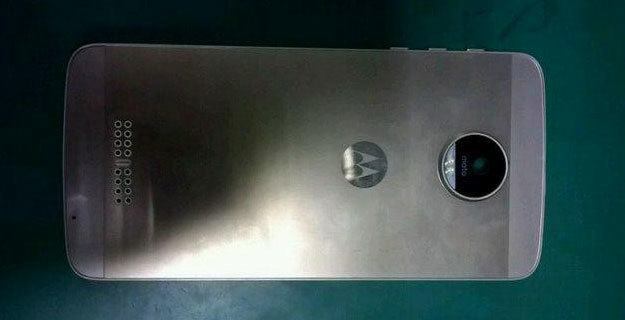 The above leaked image shows the back of upcoming Moto X device (probably). It is obvious that it will come with Android Marshmallow with the exclusive Moto features like Moto Display, Moto Voice, etc. It can come with Snapdragon 820 chipset and 3/4 GB of RAM. There could be a possibility that the support for external card might be missing due to the design but if this would be the case then it will surely come in large internal storage variants. The other features might include USB Type C port, Quick Charge 2.0 support, 21 MP primary camera, Quad HD display, 3300+ mAh battery, etc. It s expected that it will feature a 5.2 or 5.5 inch display. But it is quite early to predict any of the specifications of upcoming Moto X device as it will be launched in the mid of 2016. Moto X Style which is the flagship device for this year is priced at Rs. 29,999. Motorola is always known for competitive prices, therefore it is expected that the new Moto X will be priced around Rs. 35000. Though it is quite early to predict the price of a device whose name and specifications are still not know. To get more updates on Moto X 2016 or other upcoming Moto devices, stay tuned with us.